One of the only Final Fantasy games to never make it to North America could actually be headed our way. 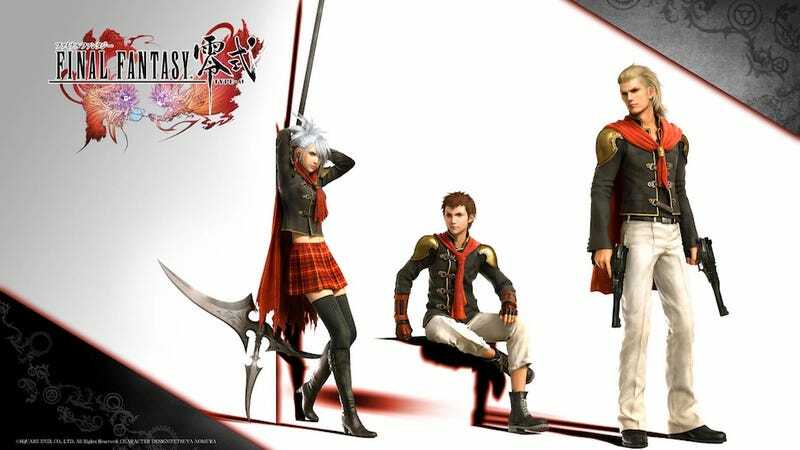 Final Fantasy Type-0, released for PSP in Japan way back in 2011, came at the worst possible time for American RPG fans. Thanks to Square Enix's financial issues and the PSP's lifecycle coming to an end, Type-0 never made it to the U.S. in any form, despite tons of fan requests and petitions. That could change in the near future. Speaking to USGamer in Tokyo this week, game director Hajime Tabata promised that the mobile sequel to Type-0 will indeed be localized, and he gave us some hope for the PSP game, too. With that caveat in mind, Tabata also stated that he sees Agito and Type 0 as companion titles, and that they're best enjoyed with one other. Therefore Tabata says he still hopes to bring Type 0 to the West via PlayStation Network, and while a complete localization hasn't been greenlit it's definitely in the final stages of planning. While quick to offer the same localization-is-not-a-guarantee-of-release caveats for Type 0 as for Agito, he made clear the fact that both fan enthusiasm for the game along with the changing portable market have caught the company's eye and renewed their interest in bringing it overseas. Would you buy a PSN-only English version of Final Fantasy Type-0? 'Cause I sure would.